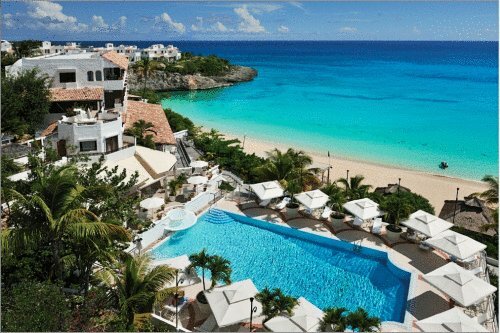 In a recent post (See “In My Mind, I’m Already There”), I created a short wish list of hotels and destinations–places I wanted to visit in the near future. 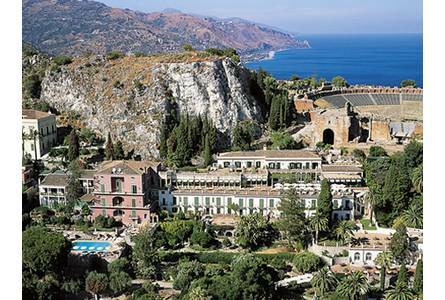 On that list were Grand Hotel Timeo and Villa Sant’Andrea in Taormina, Sicily, two Orient-Express properties whose websites alone made me weak in the knees. Well, I did it. I managed to get myself to Sicily and stay at these two hotels, and all I can say is “wow.” Beautiful, gorgeous, and stunning are understatements. The settings were picture-perfect: drop-dead ocean views, rose-filled gardens, dramatically crashing waves, and the trail of smoke escaping from the peak of an active volcano. Then there were the rooms: classically elegant, spacious, impeccably designed masterpieces, with private balconies on which I sat, drank cappuccino, and admired the view. But, if I were forced to describe and relive only one thing, I think it would have to be the food. Indeed, the food of Sicily was enough to make me stay there forever, forgetting all about life in…wait, where do I live? Oh right, NY. New York makes good food. Sicily LIVES good food. Some meals were so good, I leaned back, sighed, touched my cheek, and thought “is this a tear of joy?”. At Villa Sant’Andrea and Grand Hotel Timeo, the food was as beautiful as the setting, as delicious as the waiters serving it (sorry, but I do love Italian men), and perhaps the best hotel food I’ve ever experienced. It began and ended at the hotels. I’d feast for breakfast, make my way out into the city to feast some more, and then come back to home sweet home, where pasta alla “Norma”, insanely good cannoli’s, and bucket-loads of fresh mozzarella were waiting for me. It was also a bit of a joke during the trip that I was a cannoli addict–I said if I went missing, my friends would no doubt find me on the bathroom floor, rings of powdered sugar around my mouth and nose, shaking and begging for one more hit of that sweet, sweet ricotta. I taste-tested several cannoli’s–one in the small town of Savoca, where a scene of “The Godfather” was filmed; one at a restaurant in Taormina; one at a bakery in Taormina; and four (yes, four) at Grand Hotel Timeo. The winner was no doubt Grand Hotel Timeo, but I’d be happy to do it all over again and see if the results change. So, there you have it: I had a love affair with Sicilian food. Loaves and loaves of thick, crusty bread; pounds of fine, earthy olive oil; pasta like it was going out of style; cheese like it was my last chance to ever eat cheese; enough seafood to make marine biologists slightly worried; and enough pastries to put me into diabetic shock. It was a beautiful affair, one I am still feeling each and every day, long since leaving….particularly because I can’t close my jeans. Here it is, my article on my journey through Southern Africa, as planned by the amazing Africa Adventure Company. Read all about one of the best weeks of my life. 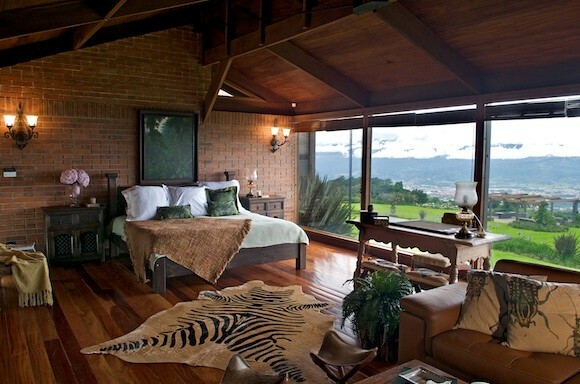 A sprawling private estate in the mountains of Costa Rica, this extravagant (and monstrous) property features private chefs, daily massages, equestrian facilities, greenhouses, pools, game rooms, transportation via helicopter, a petting zoo, and a partridge and a pear tree. Oh, and the rates start at $12,000/night. 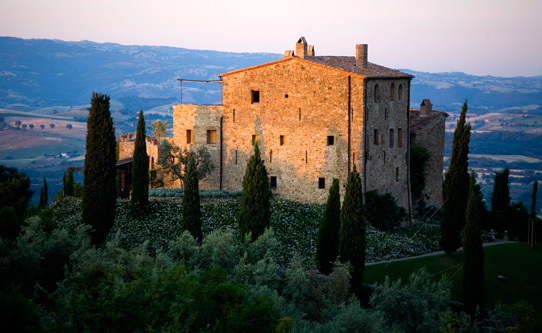 This 12th century castle in the Maremma region of Tuscany has only seven guest rooms, and oozes Tuscan charm. 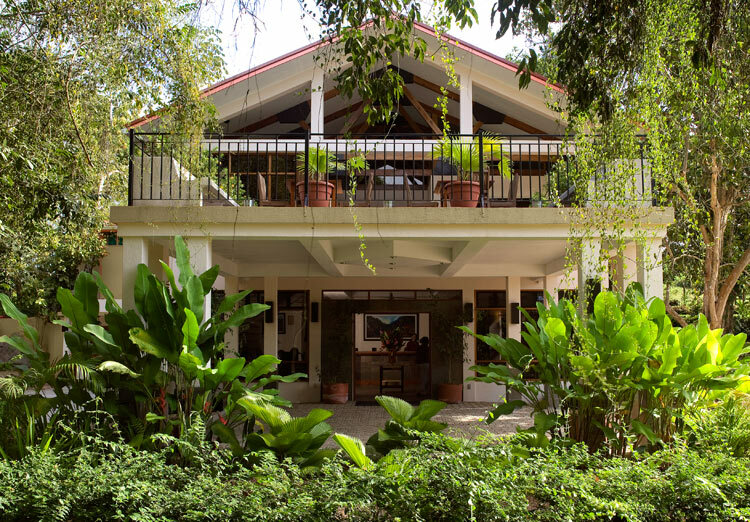 All meals are cooked in the kitchen by Aurora, the owner’s wife, and feature home-grown ingredients, farm-fresh dairy, and the property’s homemade olive oil. They have a vineyard from which they produce their own wines, two swimming pools, a spa, and views of the rolling hills for miles and miles. 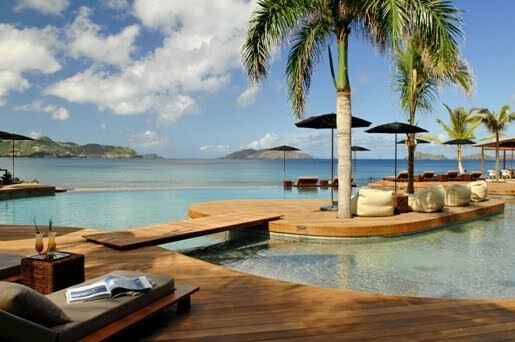 The one problem is, I’d never leave. 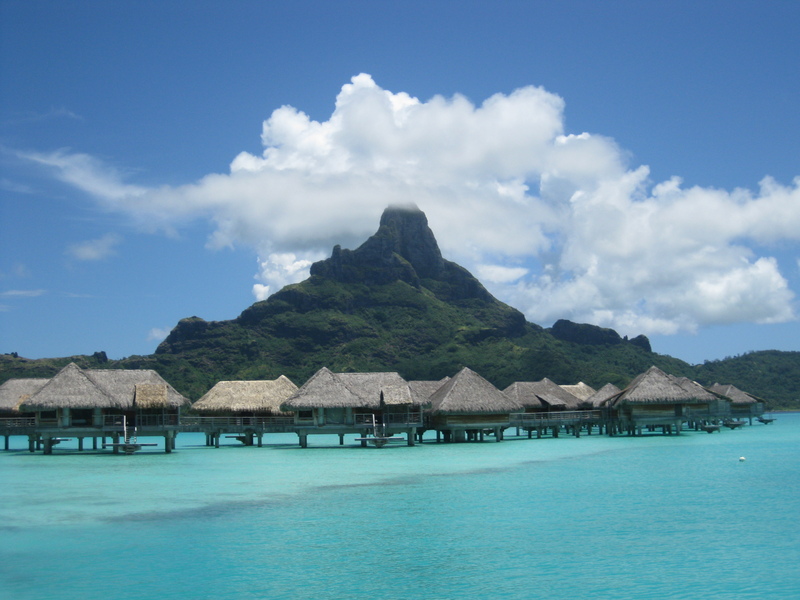 Okay, this is kind of cheating, because I’ve already been there, but it was only one night, and I really really really want to go back. Located in Bantry Bay with the most spectacular views of the Atlantic, this former private estate is as elegant a place as I’ve ever seen. 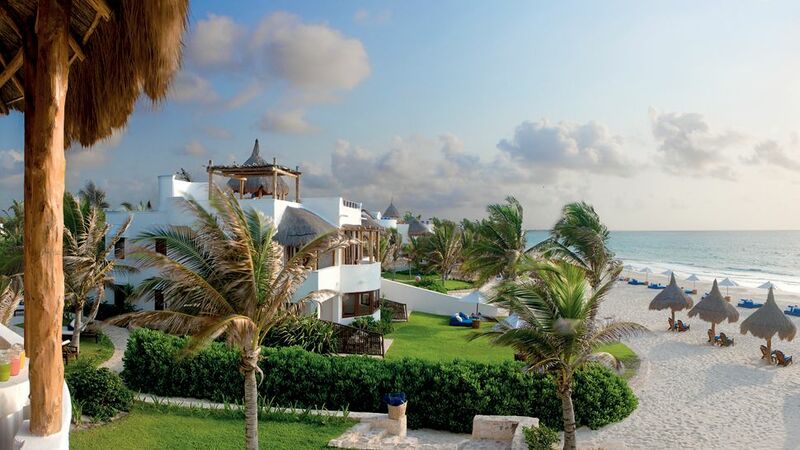 The rooms are each unique, large, and jaw-dropping, most with ocean views, and the staff makes you feel as if it’s your own private home. If only it were. So, I’m dying to see Machu Picchu. I’d stay at any old place there if I had to, but since this is a wish list, I’m picking this hotel–which isn’t any old place. 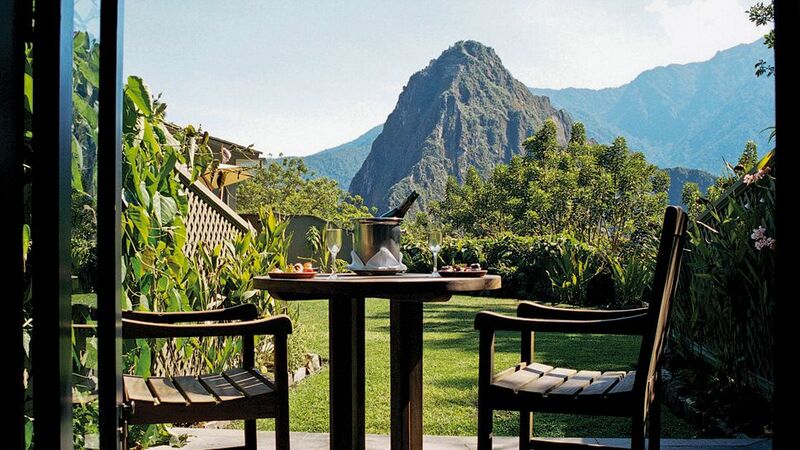 Another Orient Express property, it’s a mountaintop retreat with orchid gardens located right next to an ancient citadel. I mean, c’mon…who couldn’t feel spiritual here? My recent trip to Africa (through the almost miraculously fantastic Africa Adventure Company) will be the subject of many posts; after all, I left with the task of writing a five page article, but really felt I could write a book. I could probably devote an entire book just to each of the lessons I learned and the invaluable, humbling moments I experienced throughout my brief but nevertheless defining journey. I was reminded of one such lesson this weekend–or more specifically, of the memorable people responsible for this lesson–as I shopped, ate, took taxis, and did all the other typical weekend-in-Manhattan activities. The people who kept popping into my head were the children who live at Rose of Charity orphanage in Victoria Falls, Zimbabwe. I probably think about them at least once a day, a various times and for various reasons. Sometimes, it’s just a memory of how adorable they were. Other times, it’s remembering a specific child, such as Asher, a mentally challenged adolescent who had a smile so wide it was, quite literally, infectious, and a heart so good and kind, it could melt a hardened criminal. He was amazing. Africa Adventure Company had set up my visit to the orphanage; it was scheduled for my second day while in Victoria Falls. It was a day I’d really been looking forward to: an elephant back safari in the morning, the orphanage visit in the afternoon, and a sunset cruise in the evening. Prior to my departure, I’d gone to Target and stocked up on pens, notebooks, crayons, and small toys, having been told that these were the things the kids would appreciate. I got as many as would fit in my carry-on bag. The morning elephant-back safari was amazing. 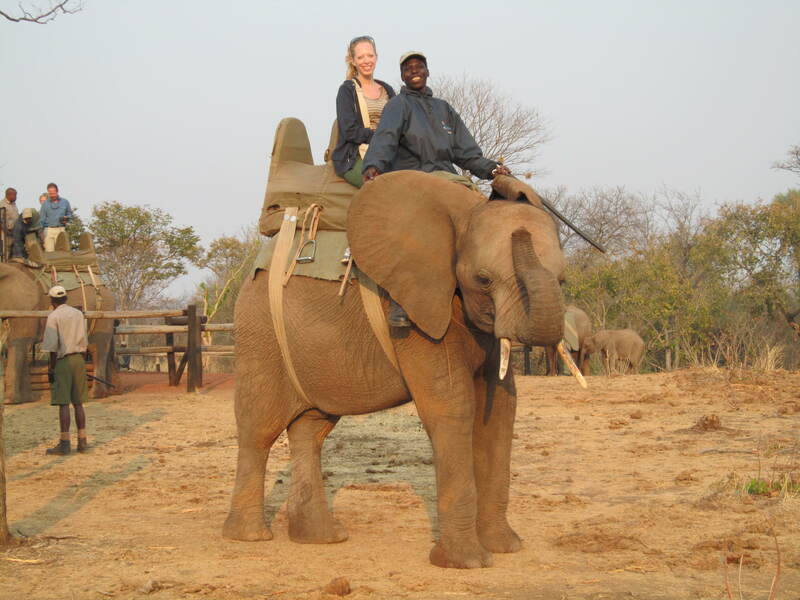 I rode a sweet adolescent elephant named Doji, who was both humorous and precocious. Then I was introduced to Sylvester, an orphaned cheetah who, when I pet him, purred the way my cat does. I wanted to steal him, bring him home, and cuddle with him every night. After lunch at my camp, I was driven to the orphanage. I was excited to meet the kids, and really didn’t know what to expect. I was hoping they would enjoy meeting me, and would like what I had brought them. It was a very small, concrete house in the middle of a village filled with small, concrete houses. The only thing that made it stand apart was the sign outside that said “he will bless us, we are his children,” painted beside the dirt path leading to the front door. On the steps stood a young girl, maybe 4 years old, who quietly observed me as I walked in. I was then introduced to Sima, the founder of the orphanage who has devoted her home and her life to these children. I learned that of the 60 children in her care, about six of them live in the house–the others are in a type of foster care. Most, if not all, are either orphaned or were abandoned. Some had been found in a nearby park. A few of them had AIDS. None of them had shoes. There was one bedroom with a mattress on the floor. I was taken to the garden in the backyard where they grow their own vegetables–not because they are trying to live a “green” lifestyle, but because they can’t afford to buy produce from the store. When I first arrived, most of the children were still at school. I met Owen, the youngest, still in diapers, Joanna, the little girl from the front porch, and two other young boys, around four and five years old, although Sima wasn’t sure of exact ages because of the way they had been found. They were shy when I first arrived, but curious. When I opened up the bag from Target and gave them their gifts, they lit up. As they looked through the bag, opening packages, squeezing mini baseballs, and doodling in notebooks, they became more and more animated. Soon they were laughing, giggling, and showing off their new treasures to Sima, who they called “Mama.” They were enjoying about $40 worth of trinkets from Target, and it was as if they’d been given a bag full of gold. When I took pictures of them, they smiled widely and joyously. I was completely in love. Soon enough, the older kids came “home,” and they were handed pens and paper, all of them eager to receive such valuable gifts. After a day at school, they still wanted to learn. They read and wrote, using books from the 1950’s. Asher wrote his name over and over again, so proud of his perfect penmanship. Other kids taught me how to say words and phrases in their language. They showed me a cheer they do for when someone is victorious–today, a 13 year old girl had had an especially good day at school, and they were all proud of her. Needless to say, I didn’t want to leave. I wanted to take them all home with me (yes, my Manhattan studio apartment would be a bit crowded, what with five children, a cheetah, my cat, and me, but I didn’t care). I was madly in love with these little angels. There were more lessons to learn from those kids than I can name. There is, of course, the lesson of gratitude and appreciation. There’s the lesson of perspective and relativity. There’s the lesson of charity and giving (I forgot to mention, their house costs $2000/year. Couldn’t one fortunate American pay this?). There’s so much more, and I don’t want to sound like a preacher; that’s not the point of this forum. But, not a day goes by that I don’t think of those kids, and, despite the fact that I only spent about 2 and a half hours with them, miss them greatly. The point of this, in the context of this website, is that travel is so much more than just vacationing. It can really open your eyes and your mind, and it can expose you to things–both good and bad–that you just wouldn’t encounter otherwise. Not every trip has to. 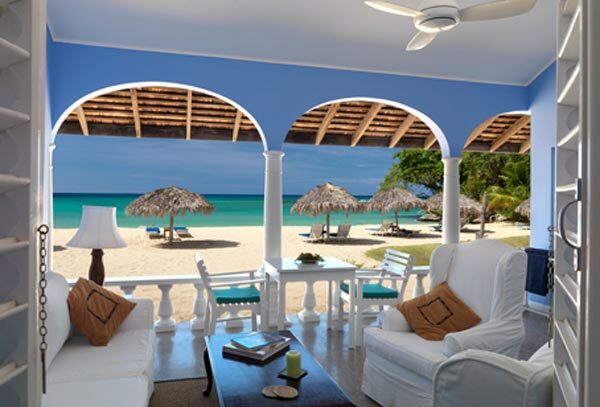 There is nothing wrong with a simple holiday spent relaxing and drinking pina coladas. There’s value in that too. But when a trip changes something in you or about you, or inspires one positive thing in your life, that’s a pretty great bonus.